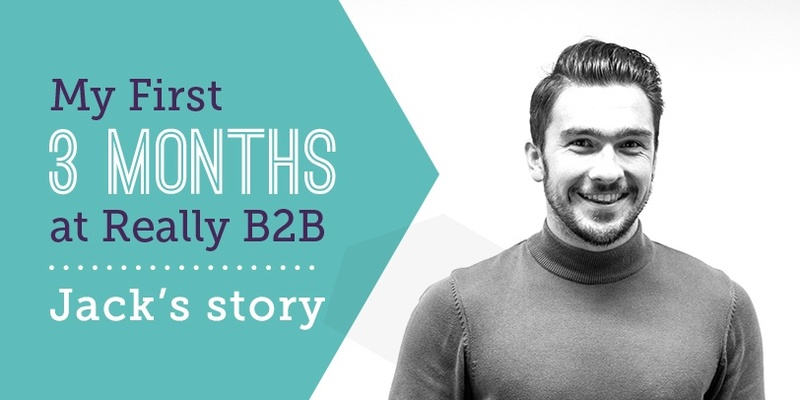 As part of the recruitment and training process at Really B2B, we ask all our staff to write a blog on completion of their first 3 months in the role. This activity not only shows us that we have some very talented people in our midst, but there is a variety of interesting characters too. So, in the first instalment of this blog series, here’s a post from our ever-inquisitive, Jack. Joy, relief, pride. These were just some of the emotions that ran through me when I received THE phone call from Really B2B’s recruitment manager. One of my first impressions of the company came from receiving my welcome pack, weeks before actually starting my role. I felt this was a classy touch, and a good way of making me feel at ease about starting at the agency. The beautifully wrapped box contained a branded mug, some chocolate, a notepad and pen, and a Starbucks voucher – just what I needed. Since that week, I feel that I have come on leaps and bounds. The induction training was varied and interesting. For example, my second training session was on marketing automation, and despite a confident and engaging delivery from Bryn (Marketing Technology Specialist), the concept of Marketo and Eloqua seemed alien to me. Now though, words like lead, email mask, and Adestra are second nature. One of the things I’ve been most impressed with is the sheer amount of knowledge in the office. I’ve not had a question which has gone unanswered, or a problem unsolved, by either those I’ve asked or those I’ve been directed to. This has been the biggest factor in my progression from ‘newbie’ to ‘not-so-newbie’. With regards to my team I feel I couldn’t have been placed more suitably. They have been great mentors, giving me the freedom to learn and develop at a steady pace. I hope to take on more responsibility going forward, in order to push myself and prove to them that I have earned my place on their team. In future, I hope to be able to integrate more with different areas of the Really B2B team to further my knowledge of the business as a whole. My next aim will be to gain as much insight and experience as I can in the following months to put myself in a good position to push for a senior account executive role. But, until then, I’ll continue to enjoy the ride and pizza Fridays! We’re always looking for fresh new talent to join us, so if you think you’ve got what it takes to help us deliver enviable ROI for our vast range of high-profile clients, then we’d love to hear from you.